The RIGS team recognizes that quality access, coupled with top notch customer service and courteous knowledgeable guides, are the most important resources to the business. The RIGS team consists of hand-picked, well-trained, quality Colorado guides who have a passion for working in the outdoor industry and a deep respect for the wonderful resources we are blessed to be a part of. Find out why we choose to call Ridgway home and consider it “The Best of Colorado”! Our Guided Activities are one of a kind adventures, with many trips pioneered as “first of its kind” for the region. From Guided Walk Wade, Float Fishing, Rafting, Kayaking, Overnight Trips, Photo Tours and more, the RIGS Team is ready to help make your next Colorado vacation one to remember. 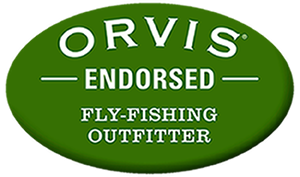 Let our fly fishing guides help you find the best fishing experience in the region. On the river, our guides will keep you safe while making sure you have the time of your life. RIGS is the only permitted Rafting Outfitter for the Uncompahgre River and maintains quality permits on unique sections on the Gunnison, San Miguel, Cimarron and Lake-Fork of the Gunnison Rivers. Our Certified Professional Whitewater Guide Training Course is taught by some of the state’s top instructors and offers our guide staff the most qualified and intensive training in the region. In addition, our guides are required to be certified as Swiftwater Rescue Techs (SRT), which is the standard for safety in the rafting industry. So, bring the family and friends and let the RIGS team show you why adventure in Southwest Colorado begins at RIGS Adventure CO!